This 28 inch mirror features a minimalist design that pops with color thanks to the refined Twilight Gray finish with matte gold trim. It features a solid wood birch frame and wall cleat for easy hanging. The mirror is a perfect companion to the Allie / Austen vanites. The Emma 24 inch mirror embraces purity of design and masterful construction. 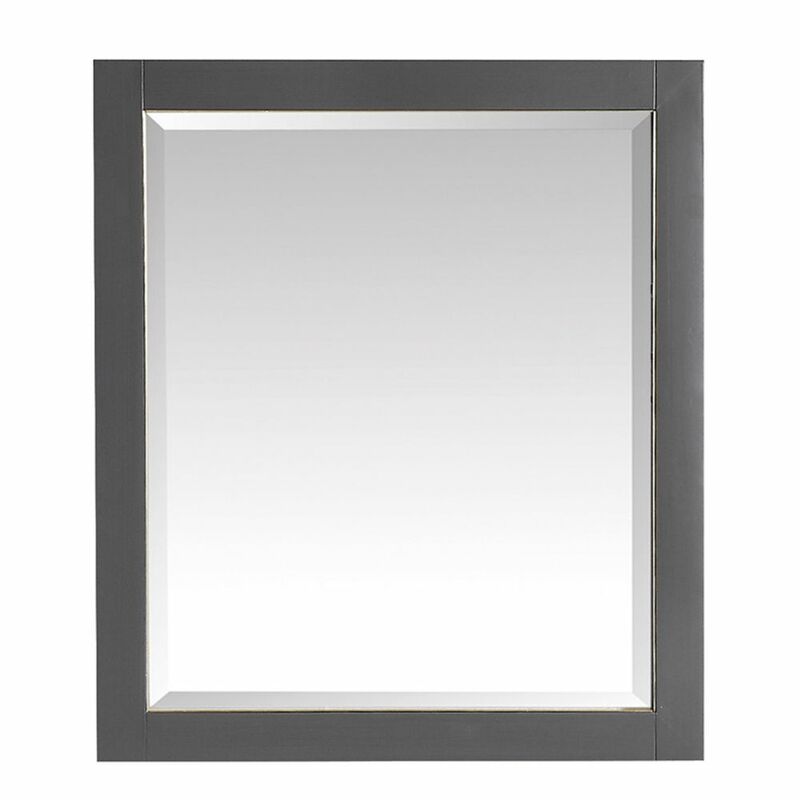 The mirror in Dove Gray finish brings to life the collection's simple, clean lines. It is constructed of top quality and includes a wall cleat for easy hanging. The Emma mirror completes your bathroom decor with the Emma vanity. The Emma 28 inch mirror embraces purity of design and masterful construction. The mirror in White finish brings to life the collection's simple, clean lines. It is constructed of top quality and includes a wall cleat for easy hanging. The Emma mirror completes your bathroom decor with the Emma vanity. The Thompson mirror embraces the same classical aesthetic and quality craftsmanship as the Thompson Collection vanities. With its graceful detailing, beveled glass, and solid wood frame, this mirror reflects not just your likeness but your fashionable taste as well. Available in both Charcoal Glaze and French White finishes, the Thompson mirror brings beauty and style to your bathroom oasis. 28 inch Mirror for Allie / Austen in Twilight Gray w/ Gold Trim This 28 inch mirror features a minimalist design that pops with color thanks to the refined Twilight Gray finish with matte gold trim. It features a solid wood birch frame and wall cleat for easy hanging. The mirror is a perfect companion to the Allie / Austen vanites.